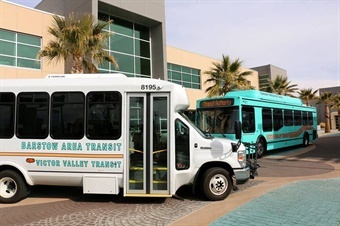 California-based Victor Valley Transit Authority (VVTA) implemented a volunteer driver reimbursement program to be able to provide transportation service to disabled individuals and seniors who are not able to utilize traditional public transportation services. VVTA operates 96 vehicles serving a population of 350,471 in desert and mountain communities in San Bernardino County, California. Population density for much of the area is estimated to be fewer than eight persons per acre. VVTA's volunteer driver program is available for people spread over an area of more than 900 square miles. "Some people have a condition or disability that precludes them from utilizing traditional bus and demand-response transportation services, or their residence lies outside the boundaries of VVTA's fixed-route and complementary paratransit service area," according to Aaron Moore, Consolidated Transportation Services Agency Director. The VVTA-TRIP volunteer driver-reimbursement program has been extraordinarily successful, Moore says. Ninety persons are currently enrolled in the program and the service has resulted in 28,462 trips that would not otherwise have been completed. Volunteer drivers have provided 689,346 miles of escorted travel since the service started in 2013. The average one-way trip length was 26 miles, with the longest trips provided being more than 100 miles each way. VVTA's TRIP volunteer driver-mileage-reimbursement service is available to people who live in San Bernardino County's rural, desert and mountain communities who are disabled, frail, unable to drive, and are unable to effectively use VVTA's other services. According to Moore, "The TRIP program, complementing our public transportation services, has allowed us to also provide an additional mobility option for individuals currently using paratransit service but who might be better served by a program that allows them a direct trip to vital appointments." Qualified riders recruit volunteer drivers from friends and neighbors, arrange for needed trips and a mileage reimbursement incentive is paid for the volunteer drivers by VVTA through direct deposit or deposit to "SOLE Pay Card." 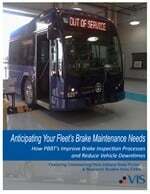 The VVTA-TRIP service is funded by Federal grants. Barbara Miller, TRIP Administrator, reports that the program has made needed transportation available for many people who live in areas where transportation is extremely limited. "For example, TRIP helps clients see specialists or receive treatment in the San Bernardino Valley or in Los Angeles, outside the VVTA service area." "Another client, who is 92, needs to go Las Vegas from his home in Needles for medical services, a distance of over 100 miles, and TRIP gets him to his appointments in our neighboring state," Miller explains. "We have many appreciative clients who are seeing their health improve by being able to get to much-needed medical attention, getting better nutrition by being able to get to the local food banks in their areas and just being able to go to a grocery store." VVTA-TRIP riders are also able to get to mental health care that might be neglected if they were not able pay someone to provide the transportation. The Independent Living Partnership, creator of the rider-focused TRIP volunteer driver model, assists agencies and organizations across the country to start and operate similar services based on TRIP's 25-year experience. Information about how to start a volunteer driver mileage reimbursement is available at ILPconnect.org.